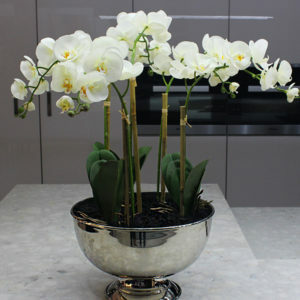 Beautiful, high-quality silk flower arrangements are what you need if you manage a luxury yacht. 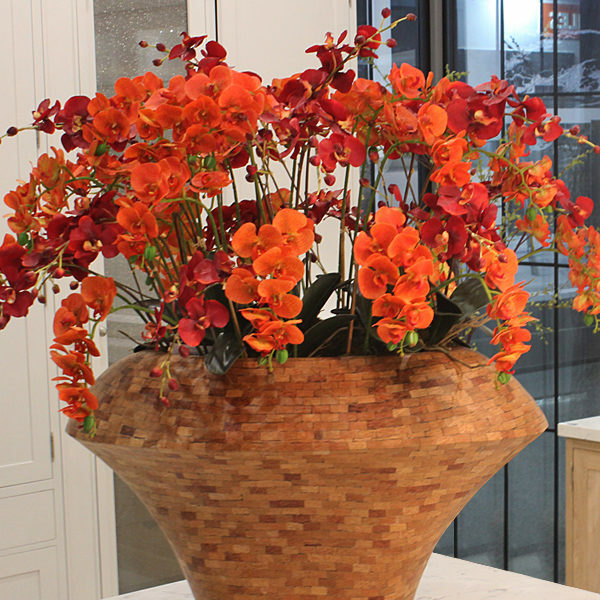 This show-stopping Orange Phalaenopsis Orchid silk flower arrangement would look perfect when it is placed on a well-finished table in a luxury yacht! It’s the perfect solution when considering the sometimes-long periods spent at sea or the unfamiliarity of being in a new port or town each week. It’s beautiful, luxurious, long-lasting and will meet the top-quality expectations of the super yachting industry. 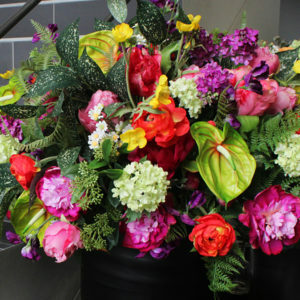 As a yacht manager, you would rent artificial floral arrangements from the distributor on a monthly or annual contract. The rotations of arrangements would be done whenever the yacht is in port, rather than on a monthly or bi-monthly basis as is done with regular land-based customers. Send us your details by following this link and we will get a SilkSense Distributor in contact with you. Matching artificial silk orchids make an eye-catching centre piece in this modern open plan office. The only thing better than one flower arrangement is two! The only thing better than one flower arrangement is two! Speak to your SilkSense distributor about renting matching or multiple arrangements. SilkSense arrangements come in varying sizes to match any space. 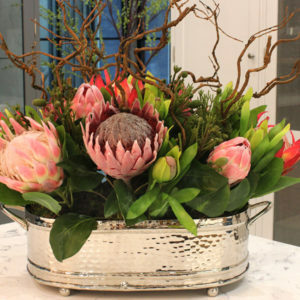 Whether you are looking for an accent piece or a centre piece arrangement, SilkSense has a silk flower arrangement for beautiful, high-quality silk flower arrangements are what you need if you own manage a superyacht luxury yacht. 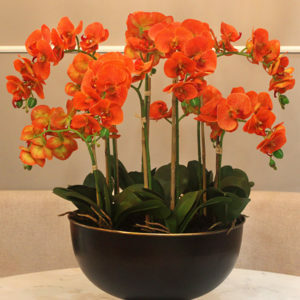 This show-stopping Orange Phalaenopsis Orchid silk flower arrangement would look perfect when it is placed on a well-finished table in your a luxury yacht! It’s the perfect solution when considering the sometimes-long periods spent at sea or the unfamiliarity of being in a new port or town each week. It’s beautiful, luxurious, long-lasting and will meet the top-quality expectations of the super yacht yachting industry.